Cold calling: Does it still have a place in a marketing plan? Using cold calling effectively depends increasingly on bringing some forethought to the process. Mention cold calling to a life insurance producer, and you’re likely to get looks of dread. And for good reason. The prospecting technique — contacting potential clients who are not expecting a sales call and who have not asked to be contacted by a financial representative — can entail hours of sales pitches, but yield only a few appointments. Yet many agents and brokers cling to the marketing method, believing they can build a profitable practice on outreach to strangers. They may need to rethink this strategy. As more producers branch into financial planning or niche markets requiring specialization, success in the profession hinges increasingly on establishing a trusting relationship with the client. And cold calling, many argue, is antithetical to this process. But there’s another factor at work against cold calling: It’s simply getting harder to connect with “cold prospects” via the telephone. Who so? People aren’t answering the phone as frequently they once did. Prospects who don’t recognize a caller ID number often let the call go to voicemail, believing the caller is conducting a telemarketing campaign in flagrant disregard of the federally mandated do-not-call (DNC) list. Or the prospect is overburdened with other communications to be answered: e-mail, Facebook posts, instant messages, and the like. But there is another variable at play: changing customs. It’s become socially acceptable to not answer the phone, particularly where strangers are involved. “Starting in 2013, I heard a lot of complaints from producers about their low contact rates,” says Gail Goodman, president of ConsulTel Inc. and a national expert on telephone skills training. “Suddenly, without any warning, our society has changed. People with smartphones now find it acceptable to not pick up. How to deal with this societal shift? Goodman recommends that producers use the phone more strategically. Rather than making calls in a scattershot fashion to people who may or may not be interested in their services or fit their client profile, producers should limit the phone’s use to “phone dates.” To wit: calling at a pre-arranged time prospects with whom the advisor has established a relationship to set up an in-person appointment. When a call is expected, says Goodman, contact rates (and appointments) increase dramatically. Using the phone also becomes a more rewarding experience. The challenge, thus, is to connect with prospects and get them to agree to a follow-up phone call. To that end, a host of methods can be employed — among them use of the technologies that are displacing the phone. Example: connecting with the prospect via e-mail, preferably following a personal introduction from an existing client. Alternatively, the phone dates may follow contacts the producer makes with prospects in casual settings: at cocktail parties and receptions, church gatherings, golf outings or even waiting in line at the grocery store. More formal gatherings, including luncheon seminars hosted by the producer for the benefit of prospects, also lend themselves to a face-to-face chat with clients-to-be on the need for financial protection and retirement planning. All well and good. The problem is that too many producers fail — or don’t know how — to kindle a prospect’s interest in exploring life insurance or finance planning during these social engagements. To boot, many aren’t receiving adequate direction from their managers, who often assume — wrongly — that their agents and brokers are well-versed in the art of conversation. The last might entail connecting something the prospect said during a casual conversation — about his or her business, family or personal interests — to the services the advisor offers; and then to suggest, if only briefly, the ability to advance the prospect’s financial objectives. “People will talk all day about their business,” says Goodman. “With all of the info you’ve acquired during a conversation, you can phrase what you do in the context of what matters to that person. Contrast this approach with elevator speech, which I’m trying to convince every producer to drop, because it’s delivered out of context. “When a prospect finishes talking and asks, ‘So what do you do?’ you’re answer should start with this part of a sentence: ‘You know when you said….’ Now you’re able to connect their life to what do you, as opposed to vomiting what you do on other people,” she continues. That connection can be established using a story. Rather than blandly describing oneself as a life insurance and financial services professional, the advisor might say, for example, that he or she has helped many clients significantly reduce their income or estate planning taxes. Assuming the prospect is intrigued, then the advisor might suggest a follow-up get-together over coffee; or else a phone date to do additional fact-finding and, if merited, secure an in-person appointment. Caution is also warranted when using social media to link with client prospects. Too often, producers extend invitations willy-nilly to individuals with whom they only have a tenuous connection using a boiler-plate greeting provided by the software. Professional-oriented social media platforms like LinkedIn are most effective when used to research prospects connected to existing clients; and then using those links to secure introductions. Alternatively, producers can link directly with prospects who fit their client profile. But the invitation to link should be personalized, such as by referencing a mutual connection (e.g., a shared Alma mater) and suggesting a chat over coffee to get better acquainted. Given the technological and social changes that have swept over society in recent years, do cold-calls have any place at all in a producer’s marketing toolkit? And, if so, how should they be conducted to maximize their utility? One way to do so is to research prospects in advance using social media, Google, Hoovers or other online research tools. By conveying to target contacts a basic familiarity with their backgrounds — their line of work/business, personal interests and potential financial areas of concern — the producer stands a greater chance of keeping them on the phone and securing a meeting. Schussel adds that other techniques can help to increase the success rate. After introductory remarks, for example, a producer might say, “I’m calling people who might need financial services. I’m wondering if that sounds like you?” This questioning approach can aid in establishing a rapport with the prospect. What cold-call techniques should be avoided? A big one, says Schussel, is to use to a boiler-plate telephone script. By failing to customize it, the producer can come across to the prospect as inauthentic. Also, though personalized, the script should be not be read verbatim. The better approach is to memorize the script, but speak naturally without reference to it during the call. Also false-sounding is the “smile-and-dial” technique. If the producer’s attitude on the call doesn’t match that of the prospect, making a personal connection becomes more difficult. The safer approach is to communicate a neutral emotion, adjusting it as needed during the call. What to do if the prospect doesn’t answer the phone when called? Many argue the advisor should simply move on to the next prospect. 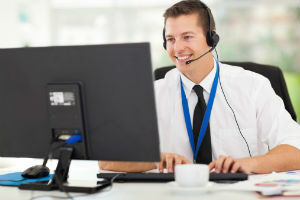 But if he or she has invested time researching the person to be called, leaving a voice mail message — and indicating that you intend call again at a designated time — need not be for naught. As is the need to establish one’s expertise. Typically, this will happen during the in-person appointment. But the producer can, if warranted, also pose questions during an initial call about a prospect’s financial objectives or concerns, then suggest solutions to address to them. The recommendations in question might generate further interest if the advisor notes how others with whom a prospect is familiar are also benefiting. Case in point: a competitor of a business owner prospect who is using a life insurance-funded executive compensation plan to attract, retain and reward top managerial talent. Whoever the target prospects, adds Robertson, one should endeavor to call them in blocks (e.g., two hours dedicating to contacting only medical practices; and two hours thereafter to law firms). The benefit: Because of the commonalties among prospects within each of the target groups, the producer can more easily prepare for objections and responses arising during a call campaign. And therein lay a key component of a viable marketing strategy involving the telephone: planning. For as cold calling has diminished in effectiveness — to the point where some experts believe it should be jettisoned entirely — using the technique effectively increasing depends on bringing some forethought to the process; and on understanding its proper place as part of comprehensive marketing plan.